COLLEGE PLACE, Wash. --- Frank Nova, a newly-tenured professor of Engineering at Walla Walla University, is reportedly at his wit's end after 48 hours of grueling work on an IKEA bookshelf for his new office. Nova has canceled his office hours so far this week, telling colleagues and students alike that he "really needs to focus on this critical project." Innocent passersby have reported muffled sounds from behind Nova's locked door, including angry grunts and occasional crashing noises, accompanied by exasperated rhetorical questions, like "why is this happening??!" 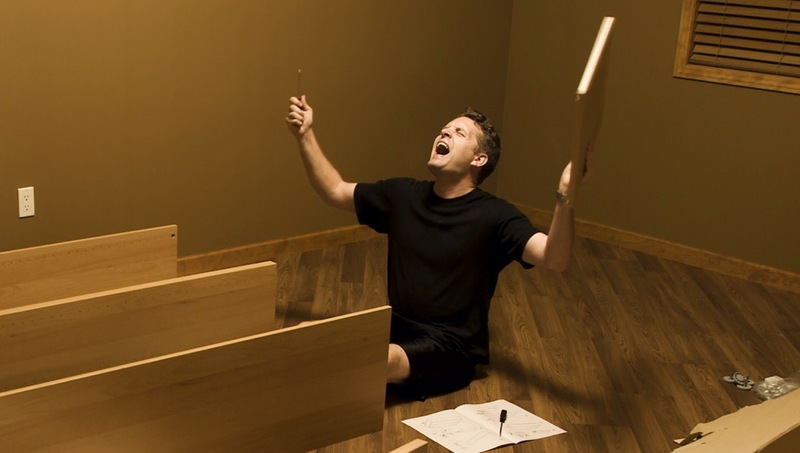 Although numerous well-meaning individuals have offered to help the Engineering faculty member with his IKEA shelf, he has so far refused all assistance, citing partially Scandinavian heritage and assuring everyone during lunch breaks that he is "just about there." Hmm. . . . Is this impugning the quality of Dr. Nova’s engineering skills and the WWU engineering program, or is it simply a testament to the insanely difficult directions that come with bookshelves? I assume it’s the latter. HEY, HEY!! LEAVE THE LATTER DAY SAINTS OUT OF THIS, AND THE FORMER DAY SAINTS FOR THAT MATTER! This calls for a new compilation of Ellen’s writings, perhaps Counsels on Assembly. That’s right. New compilations are the answer to everything. You can’t make this stuff up. Wait! What? EGW INSTRUCTIONS WOULD HAVE 1844 STEPS, AND YOU WILL STILL FAIL WITH THE ASSEMBLY. I thought it was 144,000 steps??? Ralph Stirling, get in there and help him! Perhaps we can make a senior project out of it. This ain’t rocket science, Prof. Get out the old slide rule and calculate. Yes, a book like “Counsels on Assembly” would be a great addition to my EGW library. I will always refer to it when my wife gives me those pesky projects. Woe is me!! No wonder I always have my 10-year old kid put together my bookcases. Engineers always try to make something difficult out of something easy. He’s new. And apparently he hasn’t yet learned teamwork, otherwise he would have asked for help. He needs to sit in on Intro to Engineering and go through the teamwork exercises we assign to Freshmen. Perhaps teamwork wasn’t part of the Intro curriculum when he took it.